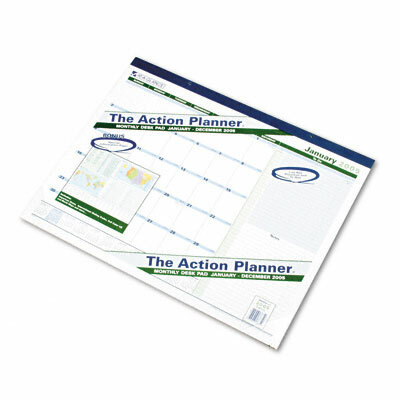 Protects desk, provides information, and helps you plan. Special information pages with full-color U.S. and world maps, web addresses, 800 numbers, and more. Green and blue printing is calming and easy on the eyes. Protects desk, provides information, and helps you plan. Special information pages with full-color U.S. and world maps, web addresses, 800 numbers, and more. Green and blue printing is calming and easy on the eyes.